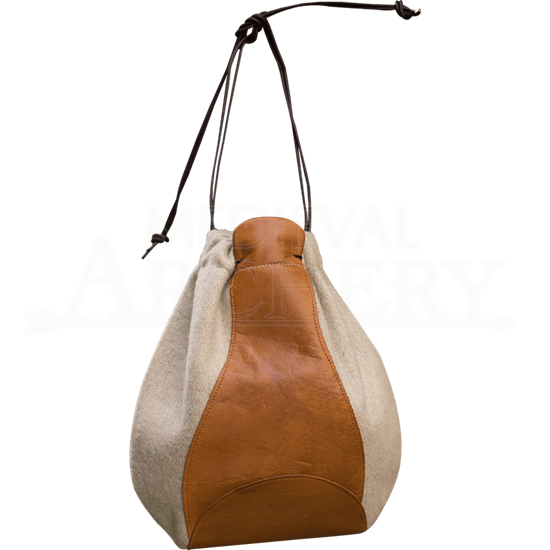 For successful merchants, a large coin purse is a must-have! Without one, they would break their backs hauling dozens of small purses around, potentially losing one! Make your merchant life easier with the Merchant Purse. This useful bag is made from a wool blend that has been reinforced with top grain leather, resulting in an alternating, quartered pattern of wool and leather. The wool portions of the bag come in a variety of colors. 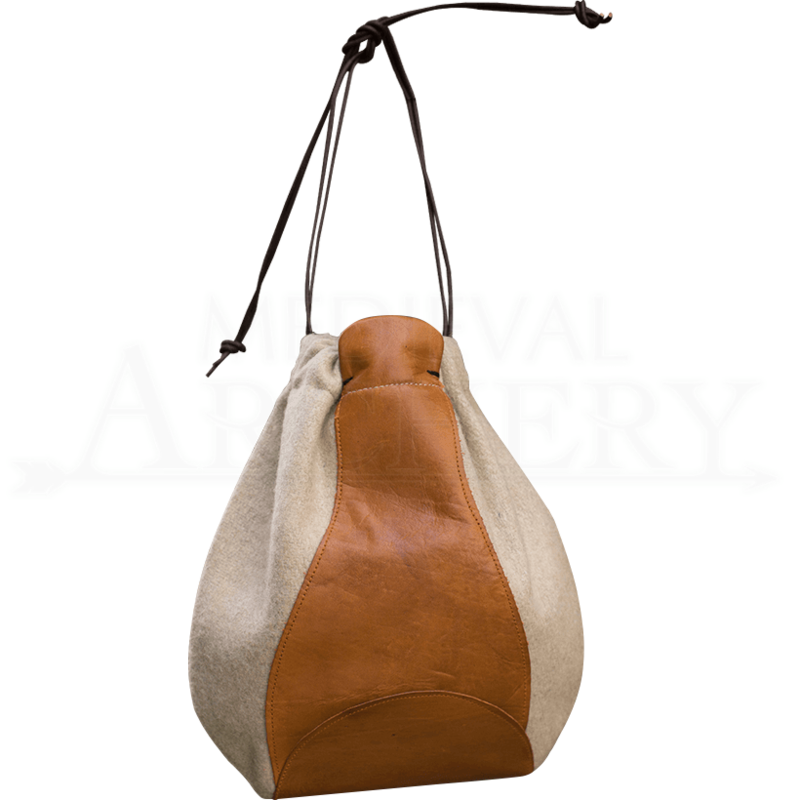 A leather drawstring secures the mouth of this bag while you are not accessing it. The same string is long enough that you can tie it to your belt for easy carrying and still be able to access the bag! Never lose your money again while LARPing with this incredible handmade pouch! Please be aware that these items are handmade. Slight deviations in pattern, color, and shape may occur. Each color is accented with brown leather.